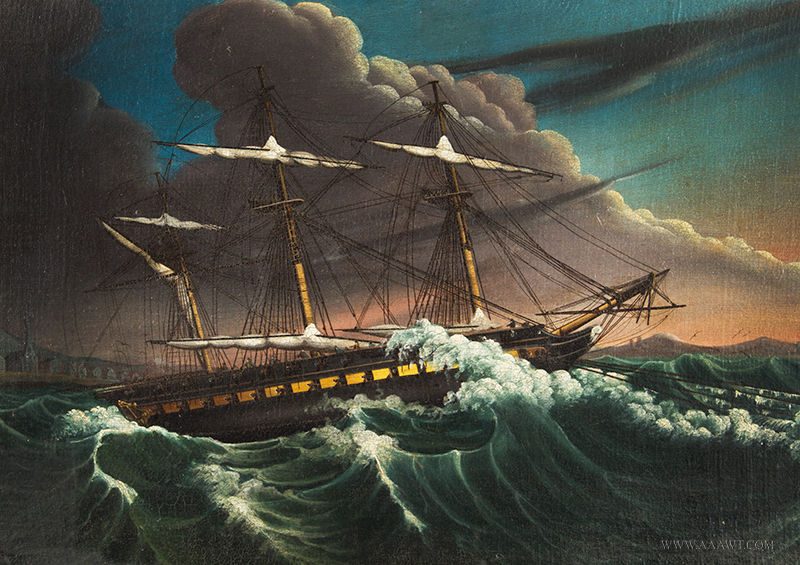 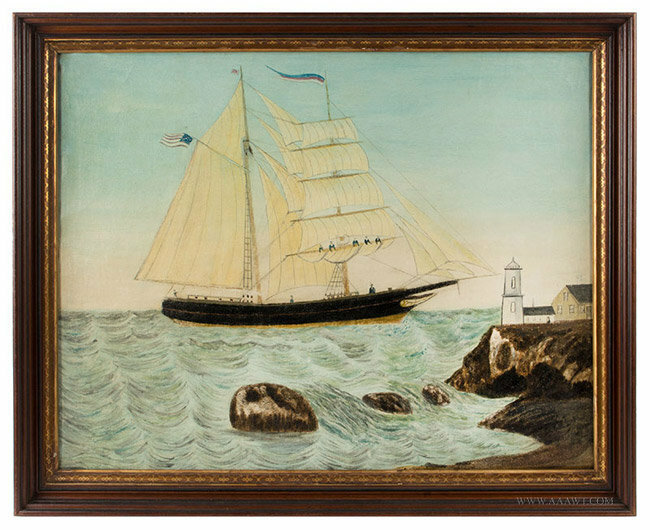 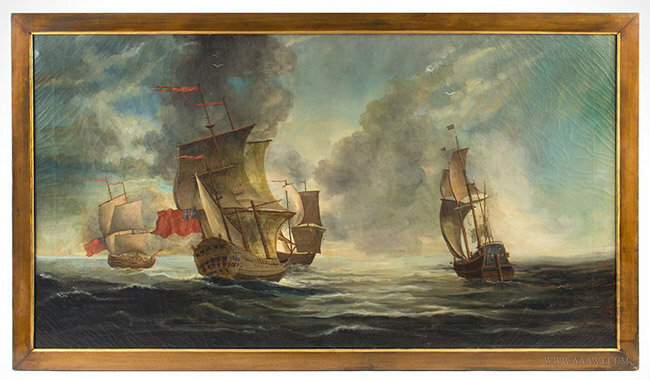 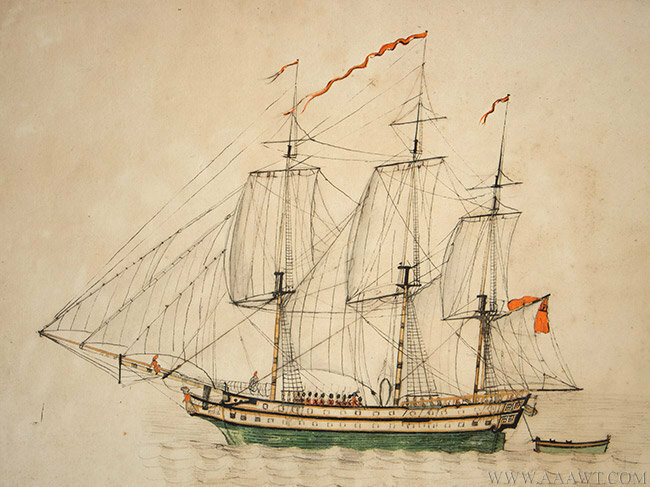 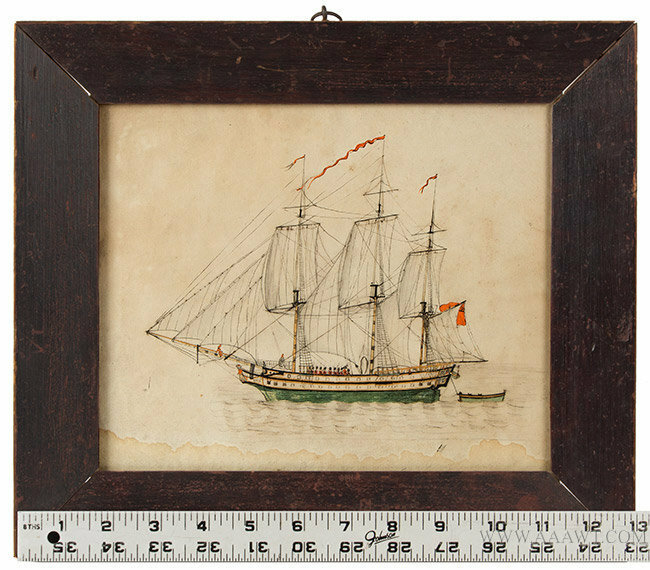 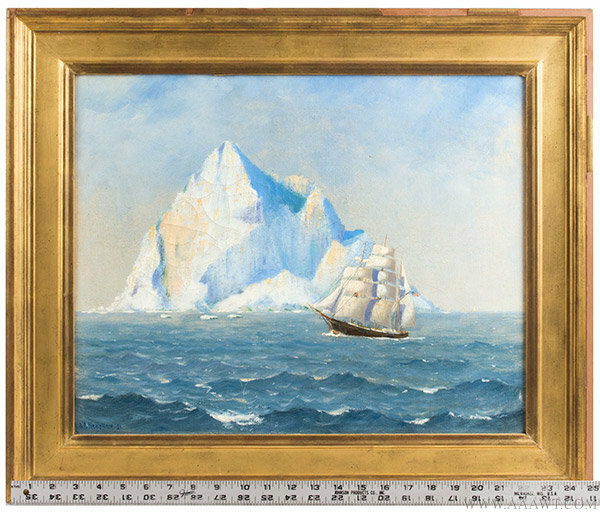 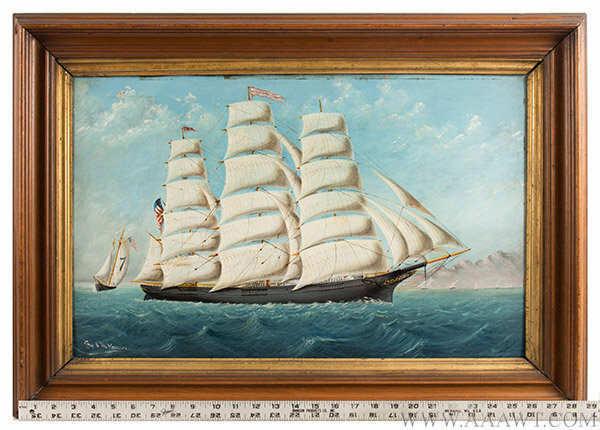 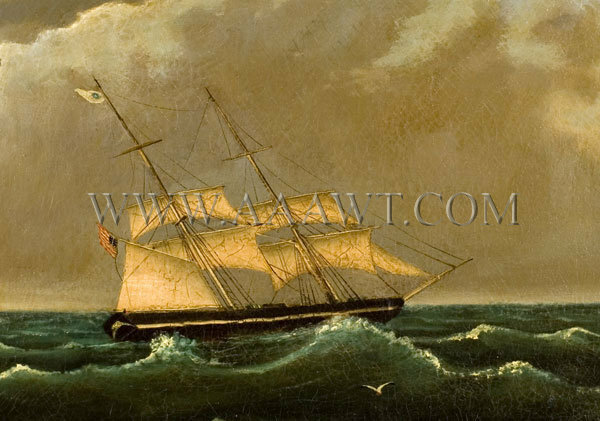 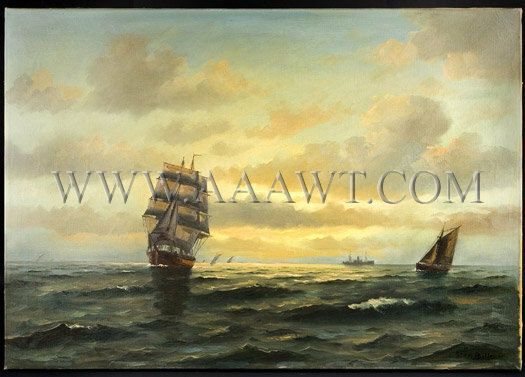 Well-executed maritime painting of a frigate attempting to embark. 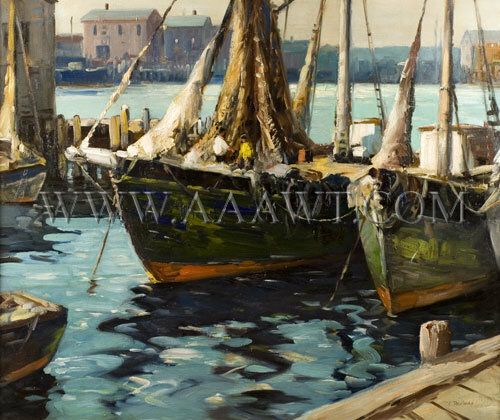 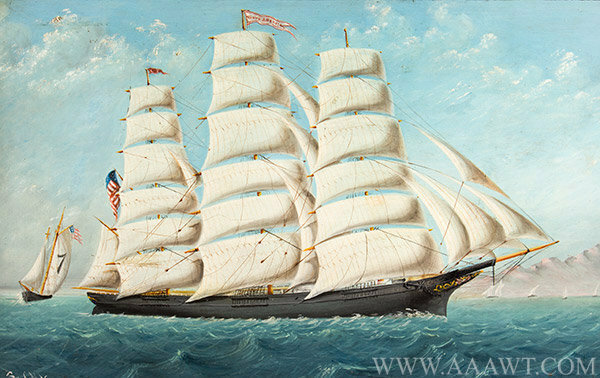 Sails are drawn with hands aboard, moving with the tide into what seems to be calmer waters. 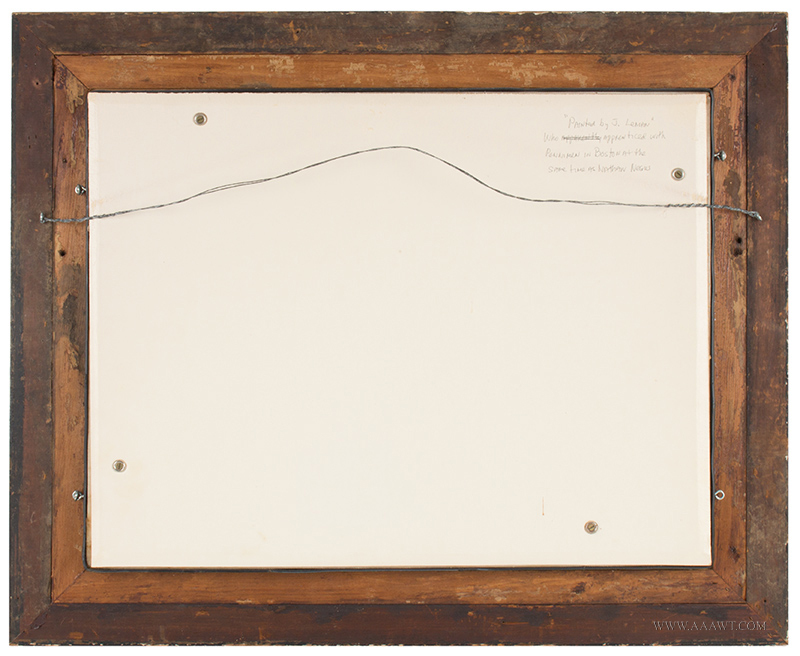 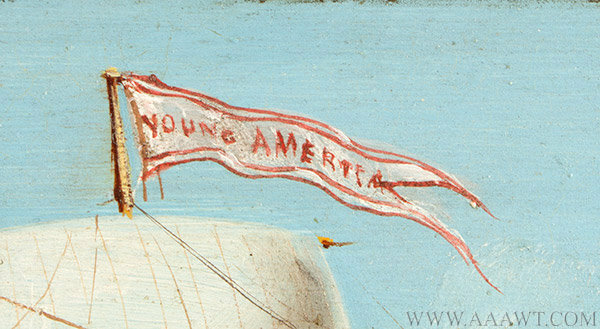 Inscription in modern hand on reverse of reinforcing board reads, [“Painted by J. Leman”/Who apprenticed with/ Penniman in Boston at the/ same time as Nathan Negus]. 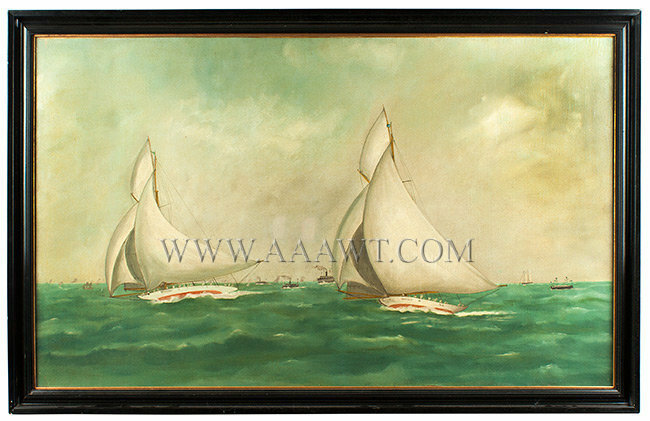 Possibly original period frame, has been restored and reinforced. 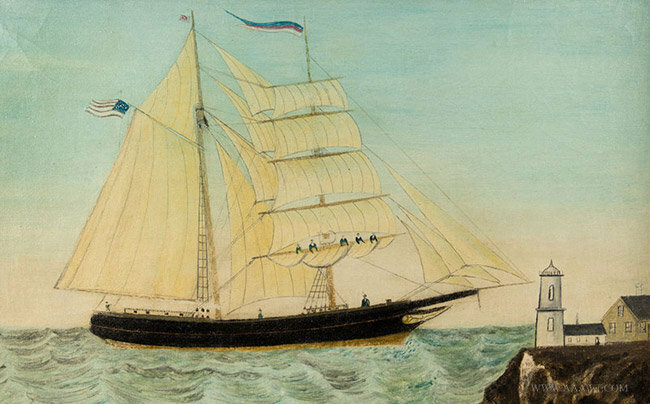 Launched at the height of clipper ship boom, known for her speed, sailed the California trade with voyages to the Far East and Australia. 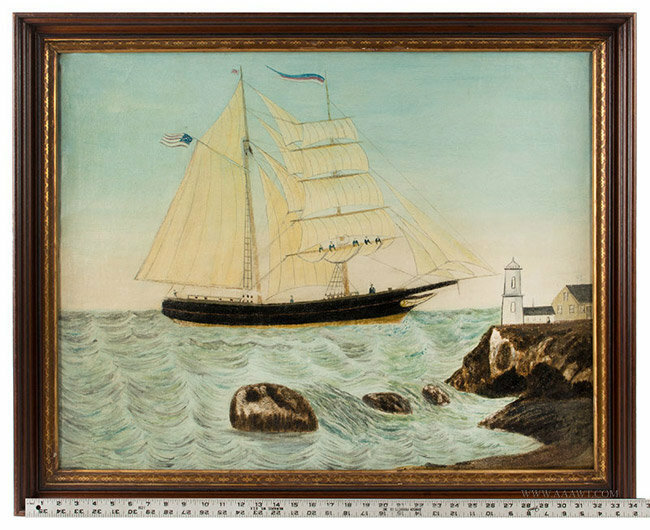 She displays her house and American flags and is depicted with a pilot boat at her stern. 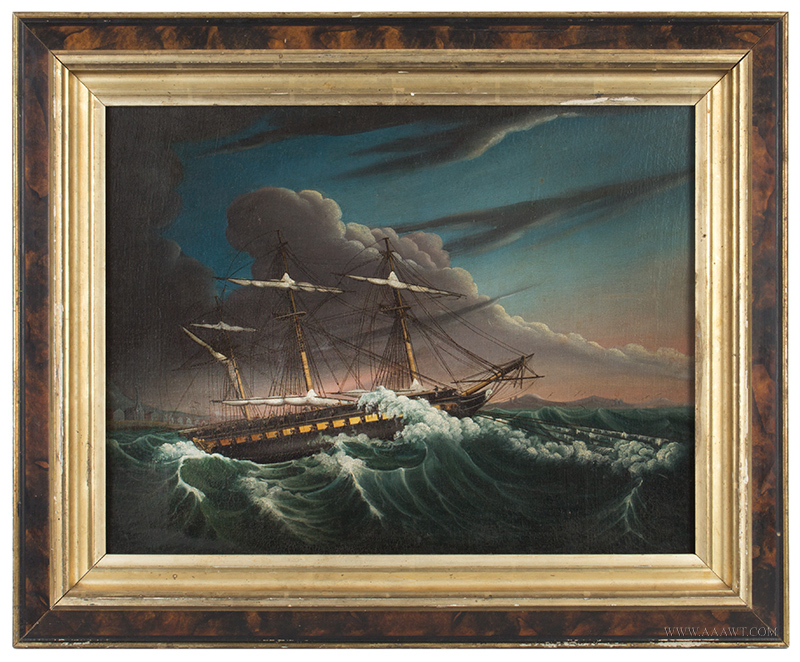 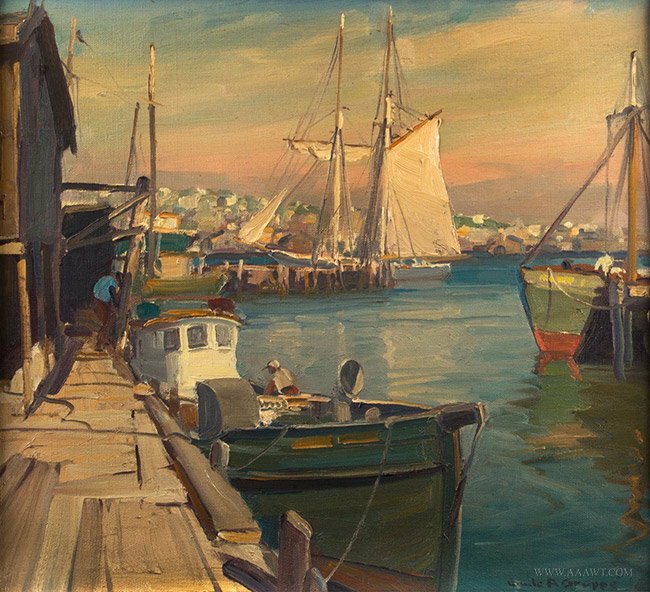 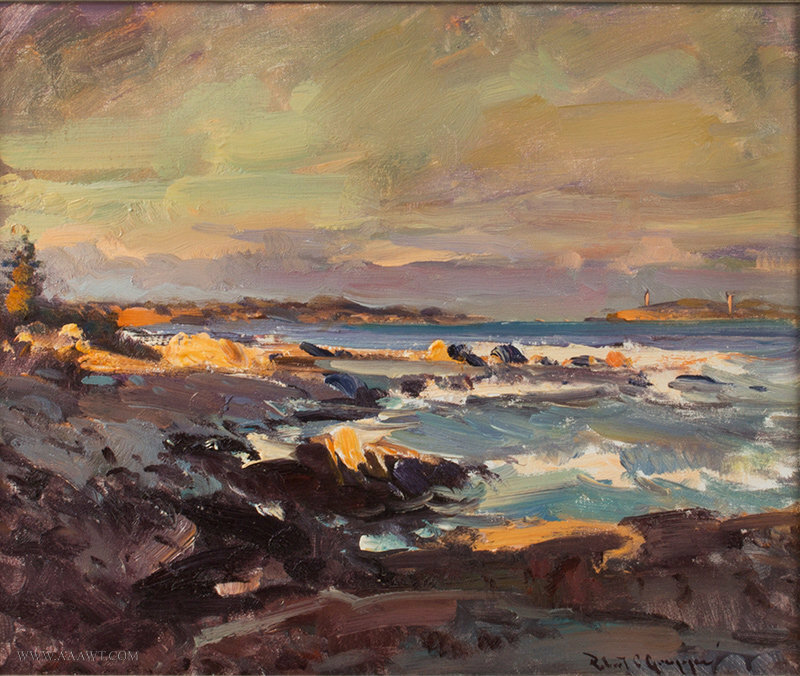 As depicted, signed by artist-Vladimir Pavlosky at lower right. 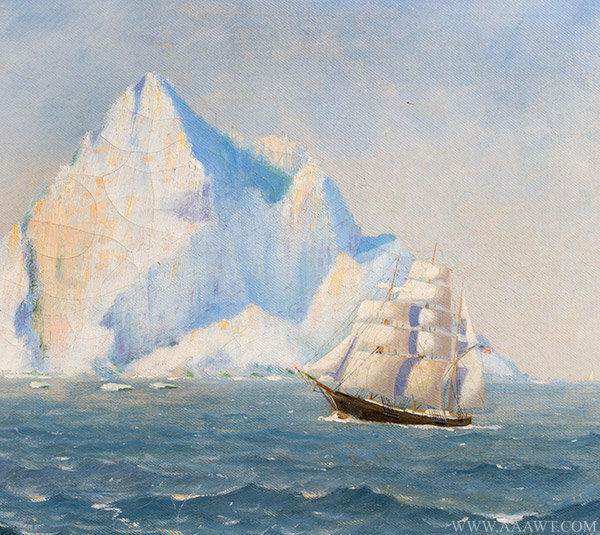 "V. Pavlosky".